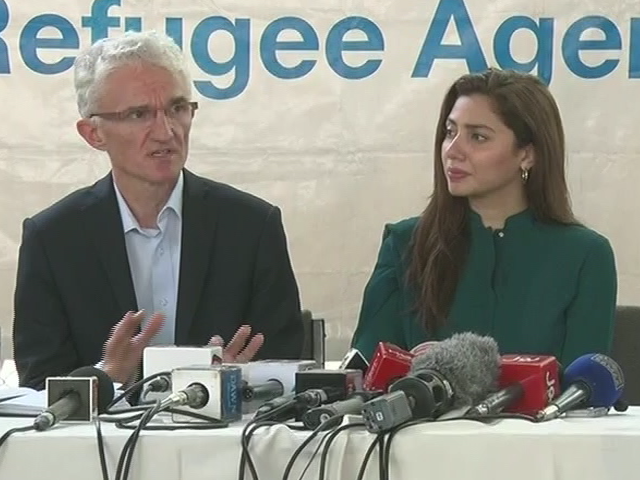 ISLAMABAD: United Nations High Commissioner for Refugees (UNHCR) Filippo Grandi has said that arrangements are being made to send Afghan refugees from Pakistan back to their country. He expressed these views in Pakistan during his visit to Aza Khel Repatriation Centre along with UN Emergency Coordinator Mark Lopok and goodwill ambassador and actress Mahira Khan. He said that skilful education is mandatory for the refugees before their return to enable them to earn their livelihood. The commissioner said, “We are thankful to Pakistan government for a long hosting of the refugees,” adding that the refugees are reluctant to go back because of the security situation in Afghanistan. He further said that “we should not forget Afghan refugees as they still need our support”. “Around four million refugees have returned and many are going back. We are trying to send the remaining also after ensuring that they are skilful and are capable of earning to sustain themselves and their families,” the high commissioner said. He was of the view that he had visited two years back and found improvement in their state of affairs. Speaking on the occasion, Mahira Khan expressed the desire to help the refugees and educate them for their bright future. “My work with the UNHCR has just begun,” she added. Mahira called for a collective effort to make the future better and said that she was very honoured to be a part of this cause.